Are you looking for that perfect cocktail outfit? Look no further…. this little black dress is just the ticket. And for your man… a GORGEOUS suit that ties in perfectly to compliment your look. Joining me today is Blu Brando to show our look of the day from Wilson’s Design for Men and Wilson’s Closet, stop by there to find the perfect date night outfit…. more after the cut….The flow of the skirt on this dress is just perfect as your partner twirls you on the dance floor. The cut of the men’s jacket is attractive and doesn’t make him look like he is wearing a skirt. Besides… we just look HAWT….. 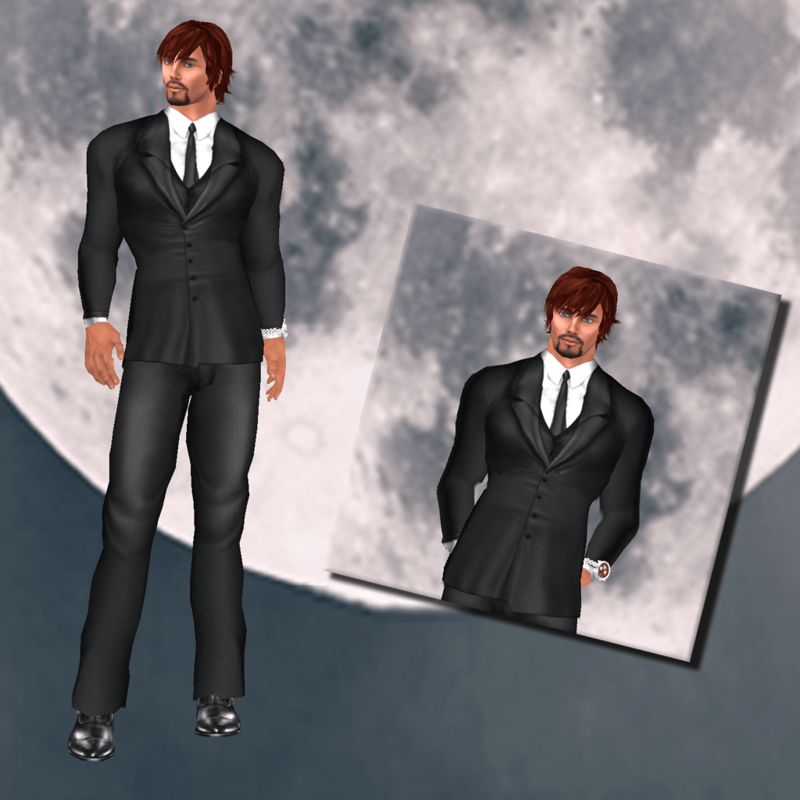 This entry was posted in Guest Stylist, Second Life and tagged Belleza, Bryce Designs, Curio, Earthstones, EMO-tions, Gos, N-Core, Poetic Colors, Redgrave, Wilson's Closet, Wilson's Designs for Men on April 22, 2011 by galacaproni. Yes, you do! Great post!